[audio removed] I'm wearing socks on a carpet. FLIR ONE is sensitive enough to easily see my footprints. 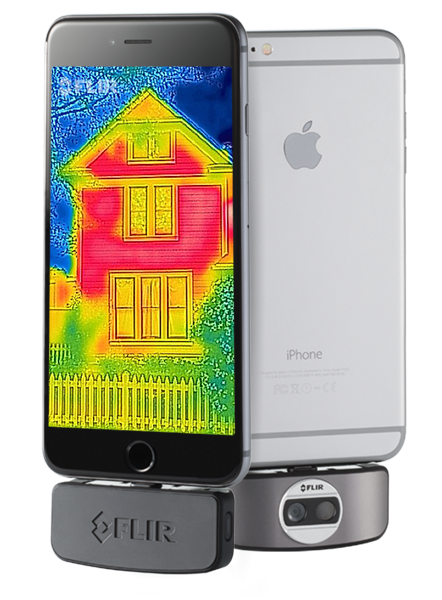 FLIR has been known for decades in the thermal imaging industry. I remember going to a fire station with my son's cub scout den back in the early 2000s, where I got to try out a helmet-mounted FLIR imaging system for myself. It seemed quite magical, even with the blocky image. But wow, for firefighting purpose, I'd say it sure seems it would be rather practical. Luckily, with the dawn of the smartphone, the prices and size and quality have come down considerably. 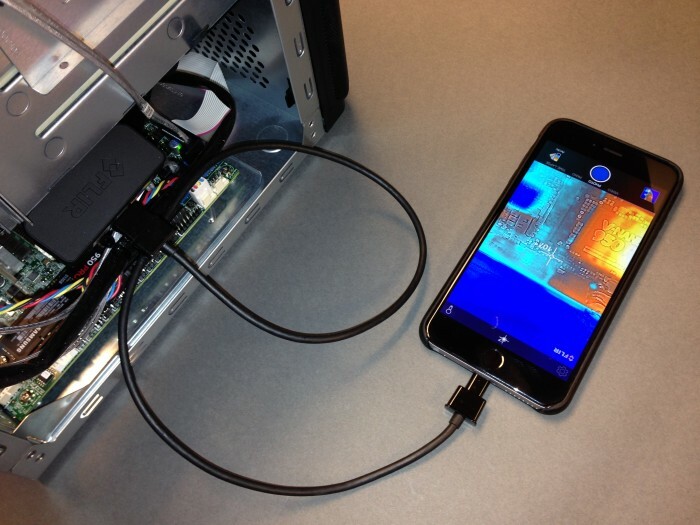 You're also starting to see more blogs use thermal imaging for a unique look at various electronics products. Given my various thermal tests of NVMe SSDs lately using indirect tools, and an interest in PC case ventilation, I've been keeping my eye on this product category for some time. I like that these aren't fitted to the size of your current smartphone, an obsolescence I try to avoid whenever possible. 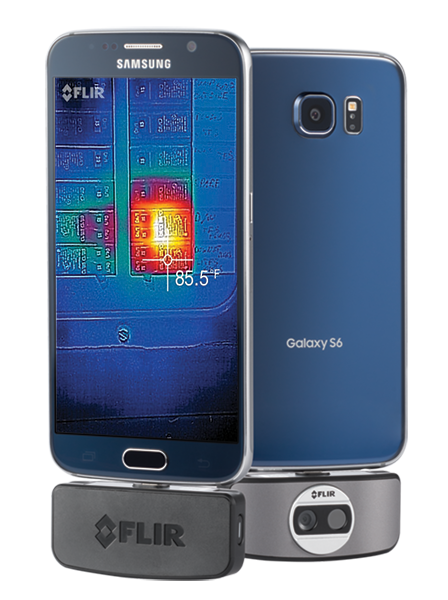 Shop for FLIR ONE Thermal Imager for Android on Amazon. If you're in a hurry, jump to the Conclusion section below. These newer, smaller models use either micro USB or Lightning connectors. What's unique about the FLIR model is the dual-lense system, which combines visual imagery (video with audio, or photos) with infrared, seen in my sample video above. The nearest competitor appears to be the Seek thermal CompactXR for iOS, but it has only one lense, a bit lower ratings on Amazon, and about $50 USD higher cost. Admittedly, I have not used the Seek CompactXR myself, and it does have near-focus capabilities that could be better suited for close-ups. Read the Seek reviews for some excellent details insight in the differences between the two. For me, the FLIR's reputation for sensitivity to very small temperature differences trumped other considerations. 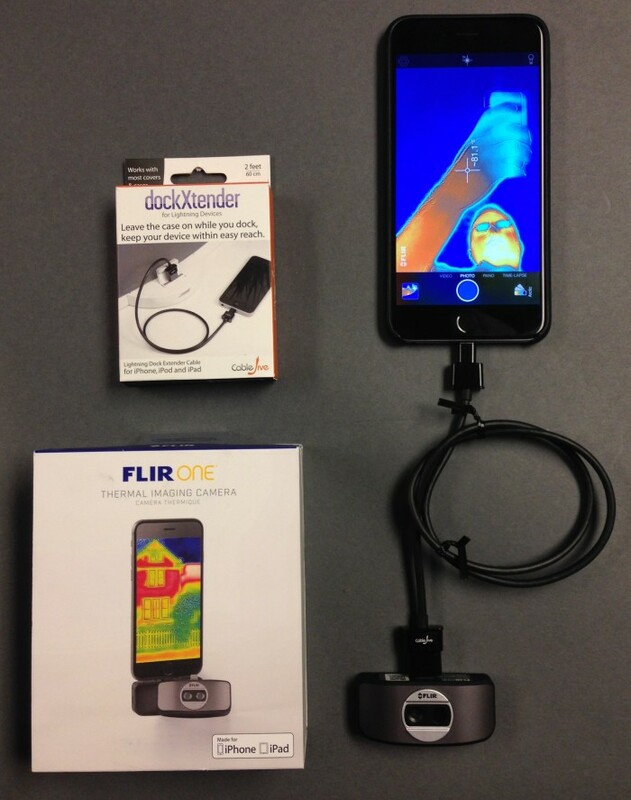 Shop for FLIR ONE Thermal Imager for iOS on Amazon. 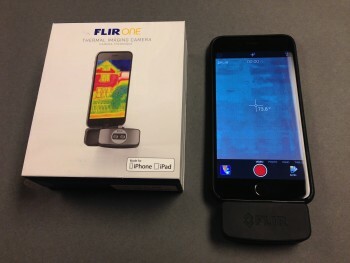 So it was with great anticipation that I unboxed and began testing my new FLIR ONE for iOS recently. A specific use-case I alluded to earlier is a close look at how the beloved Samsung SSD 950 PRO M.2 NVMe drive works at idle and under load. Running at full steam during synthetic benchmarks for example, it can burn up to 7 watts, and that controller is a rather small area. Given this tiny M.2 2280 card may be laying down on the motherboard, or in a M.2 to PCI adapter, such details can actually affect performance by about 25%, given the thermal throttling the devices performs, to protect itself from damage. See also the temperature warnings for my Samsung 850 EVO 2TB SSD that I encountered recently, in a cramped workstation-caliber laptop that runs bit warm anyway. Notice, the camera is at the bottom of the iPhone 6 Plus, keep that in mind when filming. You may want to hold your phone upside down. What if I want to see the insides of a computer, while it's running? Do I really want to try to cram my entire phone inside a running PC? No. So, the very first step was to prep for these sorts of in-place tests, so I got myself an extension cable. CableJive Extension - Available on Amazon. FLIR lists just such a micro USB extender cable, but not for iOS/Lightning. No worries, I found a CableJive Lightning Extension Cable (2 foot) that works just fine. Lense cover for travel protects lense from scratches. Photos are standard JPG files. Videos are MOV files, can be renamed to MP4 and used as-is for HTML5 video playback on blogs. Built in charger port means I can plug it in and keep on filming, not having to worry about batteries during longer shoots. It'll work at close up range, but the dual lense system really requires you to film items from about 1 meter away, for proper alignment of the visual camera combined with the IR camera. You have to tote a micro USB cable with you to keep it charged up, since it doesn't get power from the Lightning (or Android micro USB) ports. This also means you have to bring a USB charger with you, which isn't included. The MOV files it produces are 640x480 resolution. Price is still quite prohibitive for most casual use purposes, at $250 retail. Looks like it will work quite nicely for TinkerTry, helping readings gain more insight into how computers do under varying workloads and environment conditions. If you enjoyed this article and found value in the content, please consider placing your order at Amazon using one of these links below.